At APP we have repaired collision-damaged vehicles back to original manufacturers’ specifications for over 50 years. As a benchmark to the industry our primary aim is to always be at the forefront of international practices in training, technology, methodology and products. 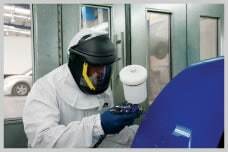 We have continually invested in the latest repair equipment and systems, to efficiently provide superior quality repairs at a competitive price, with the least possible inconvenience to our clients. With our team of great people working cohesively, we ensure all of our clients receive a greater level of care, attention and commitment to excellence. These are just some of the attributes that make us amongst New Zealand’s leading vehicle collision repair and refinishing centres. ‘Outstanding Achievement (Shop Upgrade) Award’ and ‘Quality Assurance – Outstanding Achievement Award’. 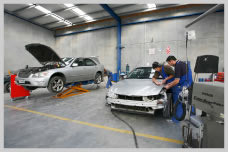 Recommended Repairer for New Zealand's leading Insurance and Fleet Management companies.